This free course is such a goodie bag for all members! Let me teach you how to make a stocking, the cutest reindeer decoration and a 'Wichtelmännchen' decorative gift bag. If you don't know what a Wichtelmännchen is now is the time to find out! The stocking was such a favorite amongst all my course members and also students at school. Every year I would let students loose on the most wonderful resources to create stockings to take home to their families. Registration period was never quite the same after that. At the Chestnut Children's center we had a whole afternoon making lovely things and eating indecent amounts of mince pies. What wonderful memories we made! 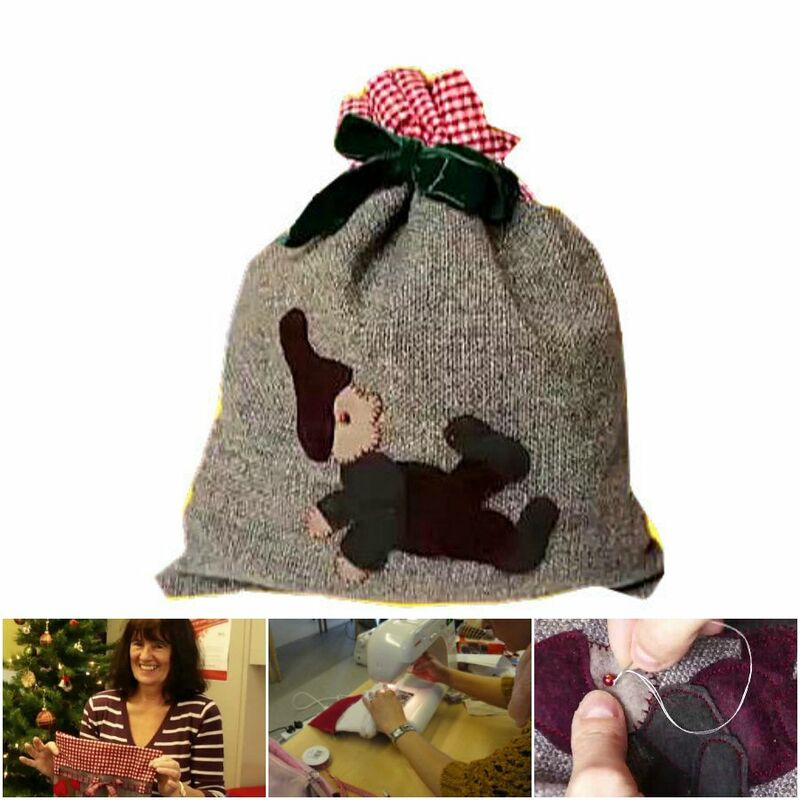 The Wichtelmännchen lovingly handstitched to the gift bags are popular in many of our German and Nordic fairy tales. They are naughty but nice and whilst they do mischief all about the house, they are easily appeased with a little milk and cake left out.... or so the story goes. I created these gorgeous gift bags with checked trim and a velvet ribbon, perfect for sitting on a tree skirt with the same theme. I used rough sack cloth for the bags and real wool felt for the Wichtemännchen. Although they take a while to stitch on, I am sure they will be loved by all and be used to contain your surprise goodies for the kids under the Christmas tree. This reindeer template is just the cutest. It has a proper saddle, a little bell around the neck and would be the star hanging from the chimney or tree. These are a bit fiddly but the result is well worth it. I used small round beads for the eyes and a pit of fluff for the tail. 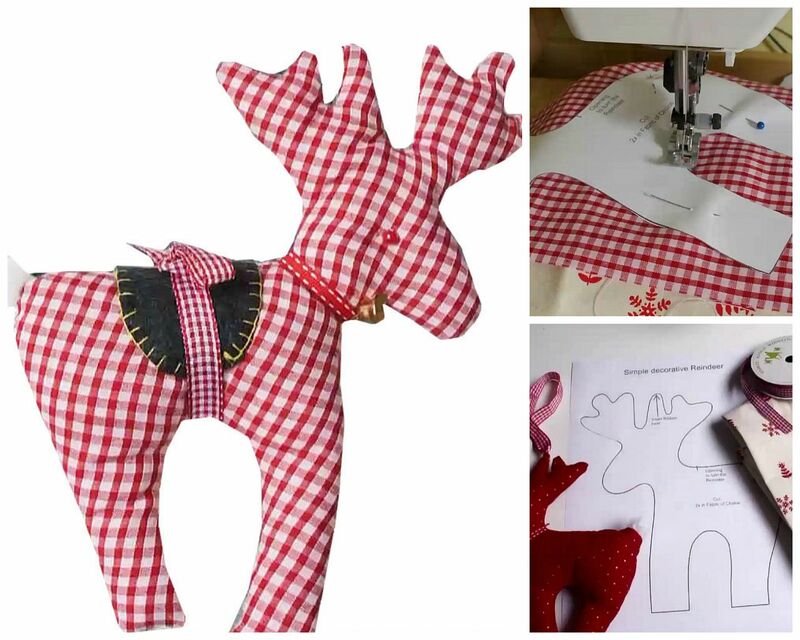 Let me show you a few tricks for making these lovely reindeer.